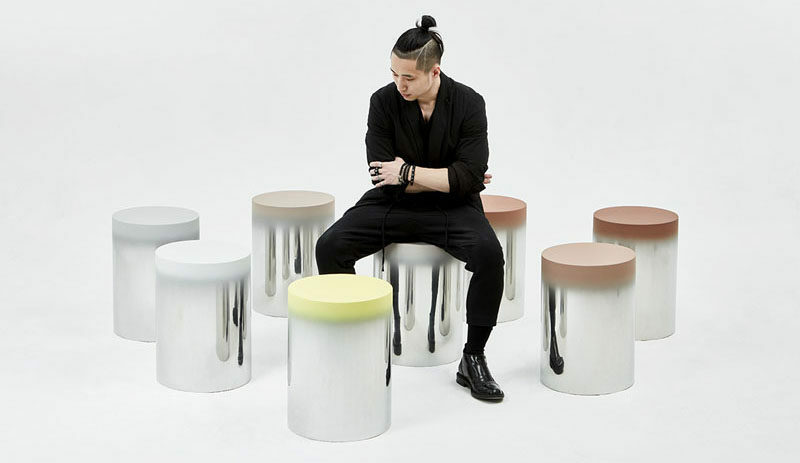 South Korean designer Jiyoun Kim has created the Dokkaebi Stools, a collection of 24 mirrored stools with each a painted seat, that will grace the Hangang Art Park in Seoul. Each stool has been positioned in a forest of pine trees in the art park, and the mirrored stainless steel finish allows the forest floor and trees to be reflected in the stool, transforming the look of the stools as the seasons change. The seats of the stools are painted in eight different gradient colors, representing the colors of the trees in the forest. 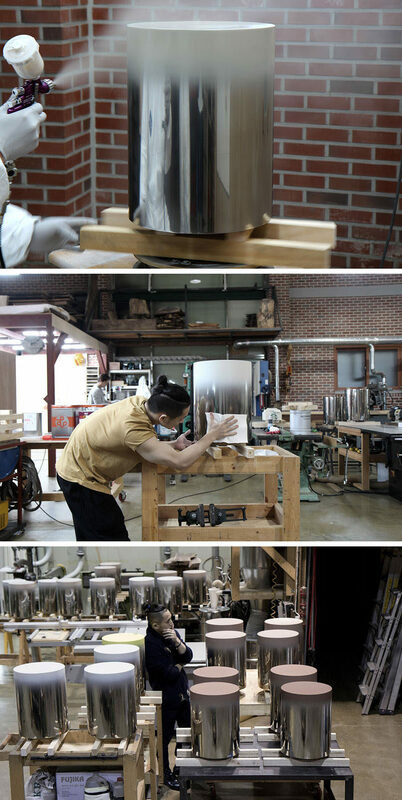 Here’s a look few behind-the-scenes photos of the stools being made.